A Teacher of the Twelve Steps Shares His Experience, Strength, and Hope With All Those Recovering from Addictions, All Who Want to Recover, and All who love them. 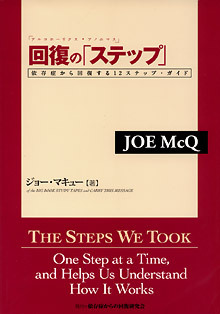 by Joe McQ (of the "Big Book Study Tapes"). Copyright (C) 2007-2012 依存症からの回復研究会 All Rights Reserved.